Across nearly the entire 9,300+ km width of Canada, we have regions setup which host in-person or online Networking Nights. 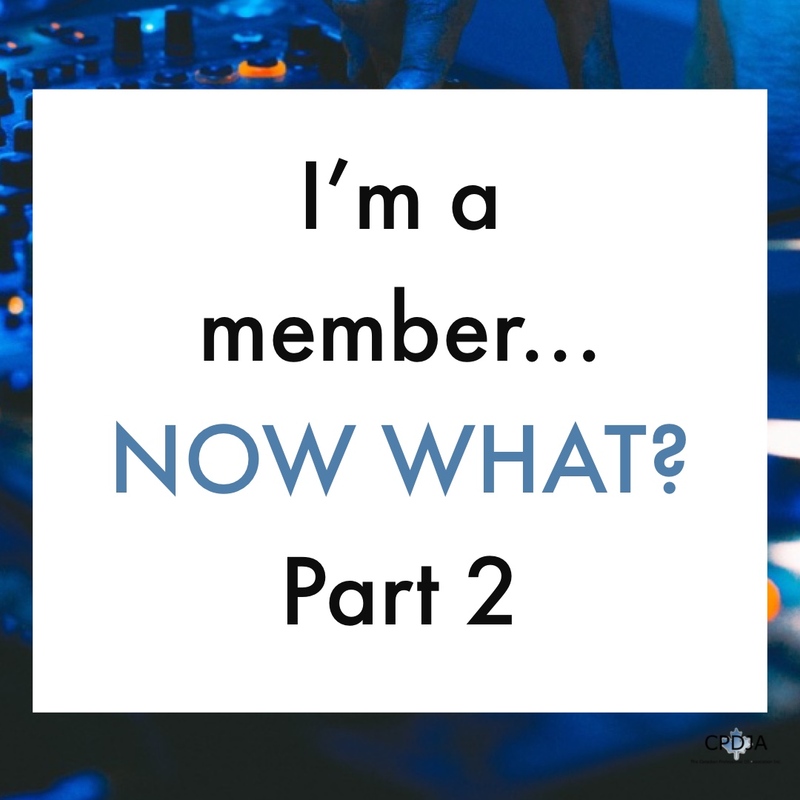 These get-together are, for many members, the most valuable part of their involvement with the Canadian Professional Disc Jockey Association. Networking nights represent opportunities to learn, meet knew people and develop lifelong friendships. In short, networking nights might just become your favourite part of the CPDJA. When a networking night is scheduled for your region, it'll be posted to the CPDJA online calendar and it'll automatically show up in the Weekly News Memo. Click on the event title, read the description for that networking night and, provided you are able to attend, proceed with registration so that the Regional Team Leader knows how many people to prepare for (most networking nights are free to attend). Regional Team Leaders will also send out emails to the members of that region. If you'd like to receive the email invites for a particular region that might border your area, feel free to join additional groups by logging in and viewing the groups. Then simply join the group of your choosing and you'll then receive email notices that are sent to that group. Now that you're aware of networking nights, wouldn't it be great if they automatically showed up in your Outlook, Google or Apple calendar? 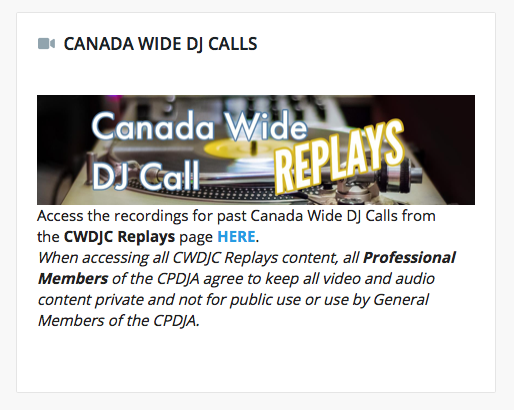 Professional Members of the Canadian Professional Disc Jockey Association also receive access to a great section of education that the CPDJA produces called the CWDJC Replays. These are recordings of the popular Canada Wide DJ Calls that the association produces. From a Professional Member's dashboard, access to these records can be found under the CWDJC Replays heading. There are many calls available for revisiting, all labeled according to educational topic. If you haven't checked them out yet, now is a great time to catch up on some quality education to help you level up your game!